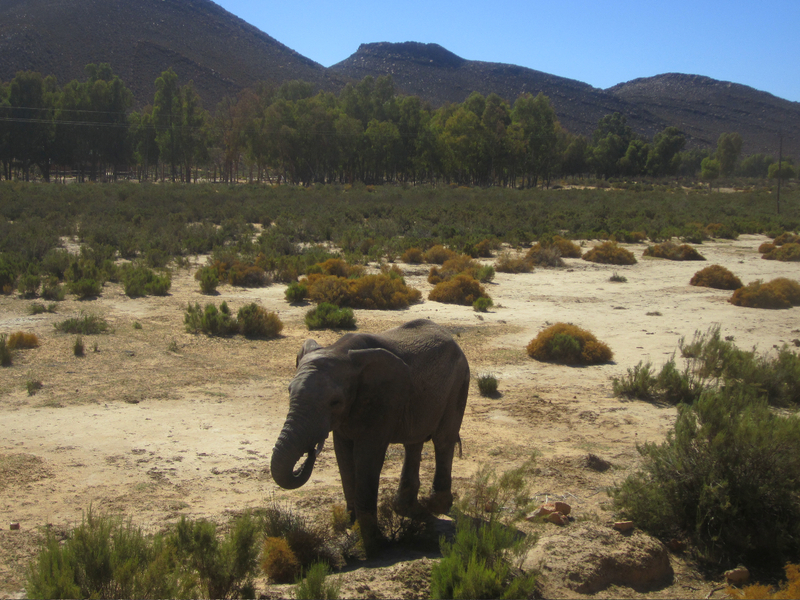 You are here: Home » Global Ambassador » South Africa Part II: Skydiving, Safari & Surfing! South Africa Part II: Skydiving, Safari & Surfing! Day 3: Wake up call at 7am! No, really, we do not sleep when we are in port. This day goes down as Top 5 days of my life, easily. We got up that morning and started our hike up Table Mountain (please google it, it is incredible!- it is in the running to become one of the new 7 Wonders of Nature!). It took us 1 hour and 45 minutes to get up the mountain and it was so worth every drop of sweat and burn in your leg. It was one of the most amazing views I have EVER seen! The hike up was pretty hard because we took the steep path, but getting to the top of the mountain was so rewarding, we were above the clouds! We could see all of Cape Town from up there and it was beautiful! 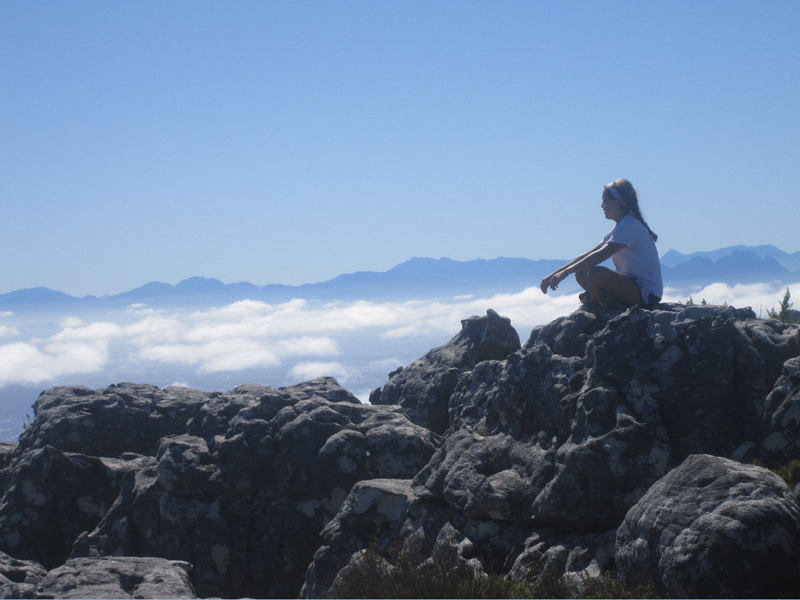 That is why I would live in Cape Town, because of things like Table Mountain. There was a little restaurant on top of the mountain and then we took the cable car down because we were pressed for time…we had to make it to our next activity which was….SKYDIVING!!!!!!!!!!!! I know this is a bold statement, but skydiving may have been the coolest thing that I have ever done in my whole life. I can’t even try to explain the feeling that I had while I was flying through the air. I don’t even know what to say or how to describe it! We got in this little, plane and flew up for 20 minutes. I was leaning against a little plastic sliding door… 9,000 feet in the air! I thought I was going to die. We flew all over Cape Town and the view was breathtaking. The guy I jumped with said he has jumped over 5,000 times and this place was hands-down the most beautiful place to jump. So, I was the first one to go out of the plane…he opened the sliding door…told me to swing my legs over the edge…and there I was: dangling my legs over the side of a moving plane 9,000 feet in the air, wow. He said hold on tight, lean our head back, keep your eyes open, and enjoy…and off we were! The next 35 seconds of my life I can’t put into words. 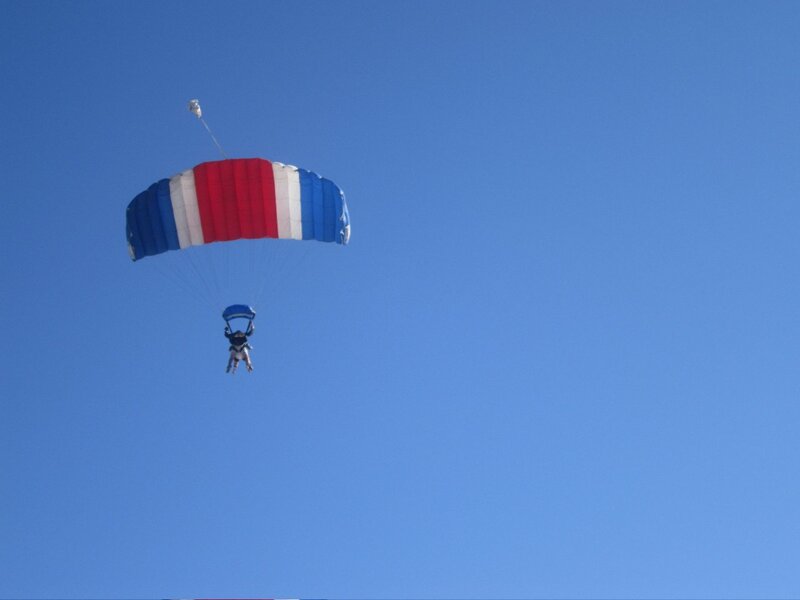 We were free falling over Cape Town and I don’t even know what else to say. The view, the feeling, the rush, the happiness, the smile, the wind…AHHH!!! I want to go again!!!!!! Then he pulled the parachute and we floated through the air the rest of the way down. He let me control the parachute and spin us around for a little! I don’t care if you are scared of heights, if you are too nervous, or whatever….EVERYONE NEEDS TO SKYDIVE! Day 4: Wine tour Safari! We stopped at four different wineries on the way to the safari and we got to stop and see cheetahs! We tasted lots of great, different wines and we toured all through the wine lands. After all that fun and games we drove for a while to a hotel where we spent the night. We had picked up a bunch of meat along the way at Mzoli’s, so we had a big BBQ and hung around the pool. We went star gazing that night, we met a ton of locals, and it we had a great time! Day 5: Woke up bright and early for our safari! 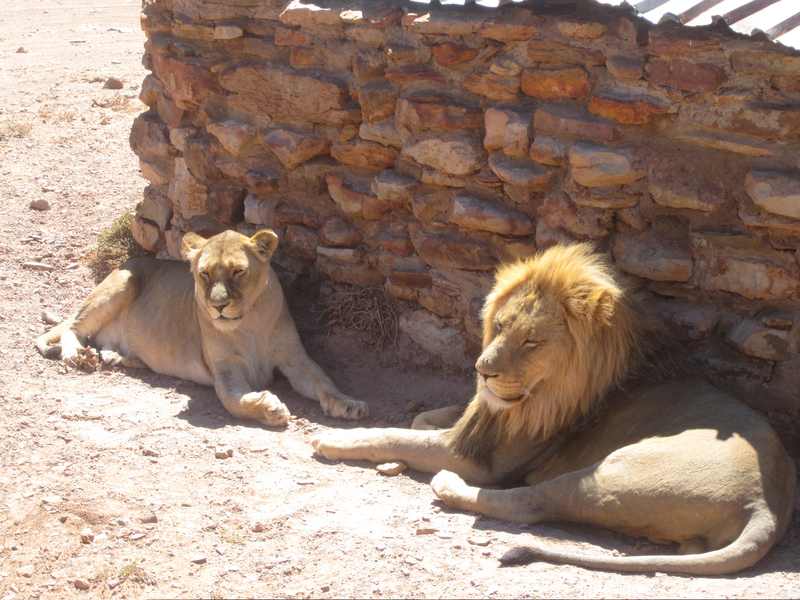 We went to the Aquila Private Game Reserve. The area was beautiful…pools, waterfalls, gardens, patios, etc. So then we got into our safari jeep and headed out on a 3 hour safari! 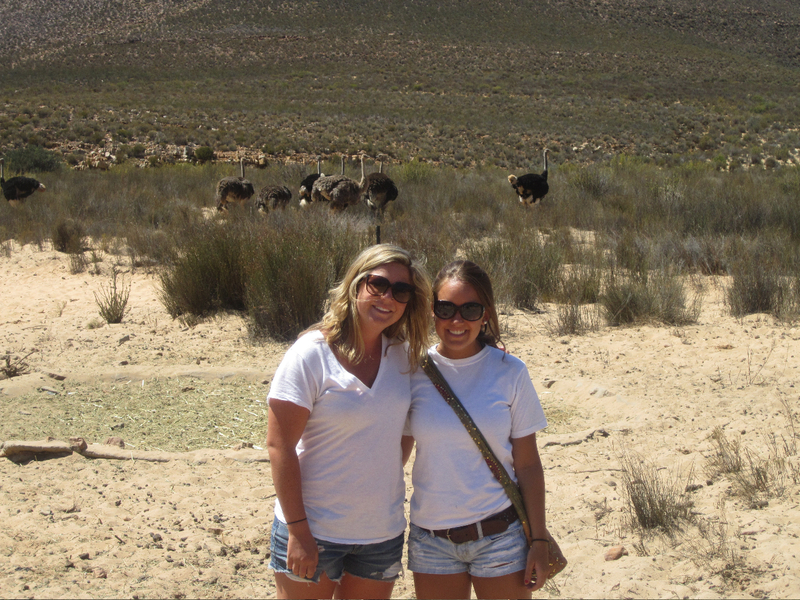 We saw elephants, hippos, giraffes, zebras, ostriches, rhinos, alligators, lions, and more! It was crazy how close we got to some of these animals. They even let us out of the jeep at one point to walk around…safe? Questionable. Another group saw a lion eating a giraffe…what!!!! That was the first safari I had ever been on! It was a ton of fun and our tour guide was awesome…very informative! That night we went out to a lovely dinner at Quay-Four in Cape Town and once again, A+ on the food. We ended up sitting with a bunch of professional cricket players from London. They play for Middlesex County Cricket Club and they were in Cape Town training because the weather was warmer there. We had dinner with them and then went to KARAOKE! It was SO FUN! Summer and I did a duet to “Summer Nights” from Greece…not to toot my own horn, but we killed it. We had a great last night in Cape Town! My time in South Africa is hard to describe. It was an amazing six days and I would do it all again in a heartbeat. The weather is perfect, dry heat and no humidity, the people are so friendly and outgoing, the landscape is incredible, the food was unreal…everything was an A+. Take me back! South Africa is a very interesting place…you can there for your honeymoon and have a beautiful week-long vacation without even noticing the poverty, or you can go there and see both sides of the South African life. The rich are very rich and the poor are very poor. South Africa has one of the highest disparities between the rich and the poor in the world- wow. You could be at a Lamborghini dealership and then turn the corner and be in the slums; it really has the two extremes. It is sad that the gap is that big, but everyone is working to close that gap and help South Africa become united, it will just take time. While I was on my trip I learned a lot about Desmond Tutu and he has a lot of powerful things to say, so I will leave you with this: Ubuntu.